Long Island is blessed with some of the most renowned and innovative research institutions in the nation. They have dramatic impact on the regional economy in their own right and are also catalysts for cutting-edge ideas and spin-off companies. Cold Spring Harbor Laboratory, for instance, recently released a report on its economic activity. It estimates that Cold Spring Harbor Laboratory directly and indirectly accounted in 2013 for $139.5 million in economic output in Nassau and Suffolk counties. That supported 1,591 jobs and $89 million in earnings.Long Island is blessed with some of the most renowned and innovative research institutions in the nation. They have dramatic impact on the regional economy in their own right and are also catalysts for cutting-edge ideas and spin-off companies. Brookhaven National Laboratory estimates that in 2012 its activities and those of its visitors generated $678 million in economic impact. That includes $31.7 million in goods and services purchased from Long Island companies, as well as $30.6 million paid to Long Island contractors. Ninety-eight percent of its 3,100 employees live on Long Island. Stony Brook University, one of 62 research universities recognized by membership in the Association of American Universities, is the largest single-site employer on Long Island. Its annual economic impact totals $4.65 billion, generates nearly 60,000 jobs, and accounts for nearly 4 percent of all economic activity in Nassau and Suffolk counties. Their commitment to innovation is evidenced by, among many other credentials, their combined association with at least 17 Nobel Prize winners. Discoveries made at Brookhaven National Laboratory have won seven Nobel Prizes; six Nobel Prize winners have worked at Cold Spring Harbor Laboratory; and faculty members at Stony Brook University have won Nobel Prizes in economics, in physics, and in medicine, as well as the Nobel Peace Prize. Their commitment to commercializing research and creating a robust and growing entrepreneurial ecosystem can be seen in their active participation in Accelerate Long Island. Also included in the leadership of Accelerate Long Island are representatives of such other renowned institutions as Hofstra University and the North Shore-LIJ Health System. Those two institutions collaborated to create the Hofstra North Shore-LIJ School of Medicine, whose inaugural class of 30 students graduated in May. The Hofstra North Shore-LIJ School of Medicine adds a second medical school on Long Island — in addition to the Stony Brook University School of Medicine. It also creates another research-related institution on Long Island, as did Hofstra’s launching in 2011 of its School of Engineering and Applied Science. To grow Long Island’s entrepreneurial ecosystem, the region already offers seven incubators or related facilities that are affiliated with Accelerate Long Island: the Advanced Energy Research and Technology Center at Stony Brook University; Broad Hollow Bioscience Park at Farmingdale State College; Stony Brook University’s Business Incubator at Calverton; the Center of Excellence for Wireless and Information Technologies at Stony Brook University; Launchpad LI at several locations; Canrock Ventures in Hicksville; and the Long Island High Technology Incubator at Stony Brook University. It’s this research-based ecosystem that we need to encourage, enhance, and expand. It includes our world-renowned institutions, the incubators that they provide, the start-up businesses that they generate, and the wide variety of jobs and services that they require. It’s this ecosystem that is core to the economic growth of our region and to creating the jobs that so many Long Islanders need and deserve. 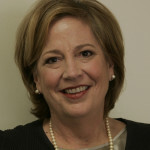 Nancy Rauch Douzinas is President of the Rauch Foundation, which publishes the Long Island Index.